Have you ever dreamed of cooking the perfect dish? Tasty foods cooked just right, with perfect consistency and natural colours. Just like in the best restaurants. 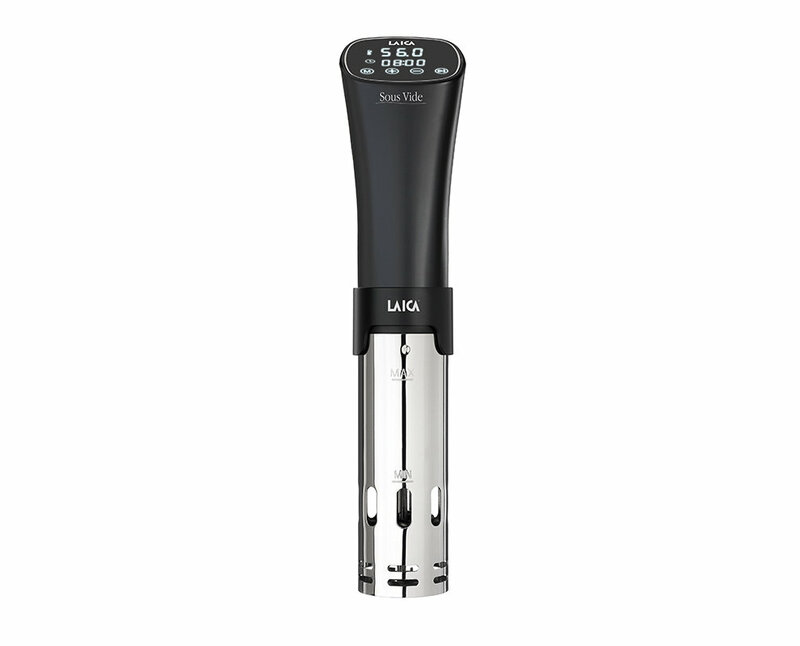 Today you can, with Sous Vide LAICA cooking appliances. 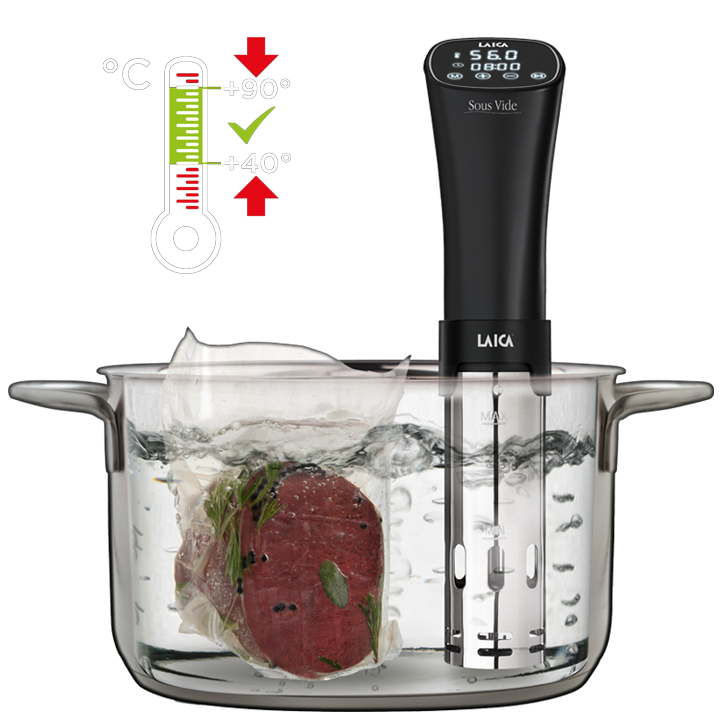 Cook your favourite dishes like a real chef, in the comfort of your own home. 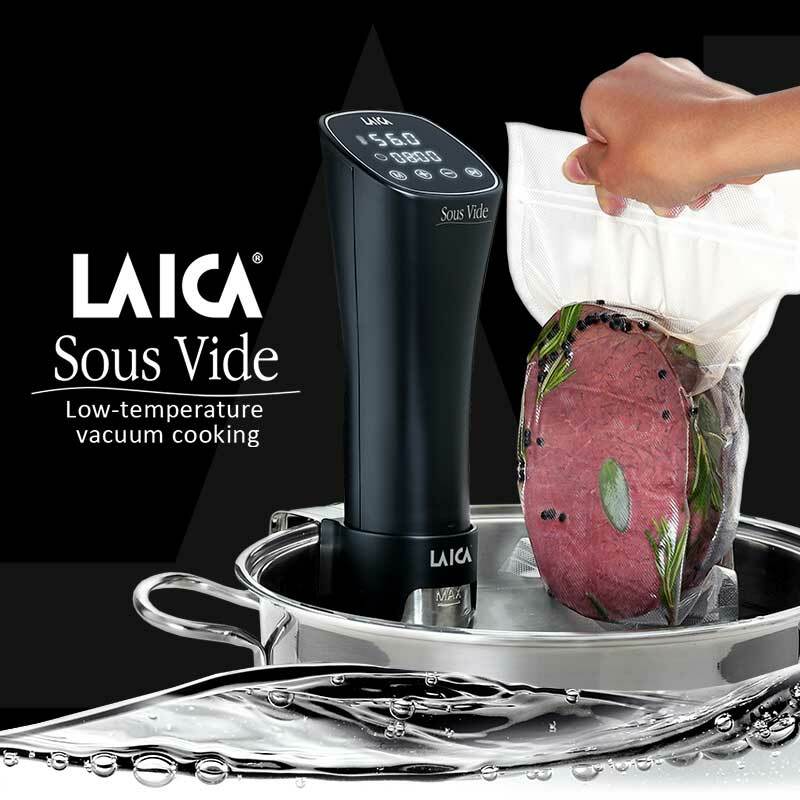 Discover all the functions and advantages of Sous Vide cooking, and how to always make the perfect dish. a thermocirculator, an oven, vacuum bags and rolls. 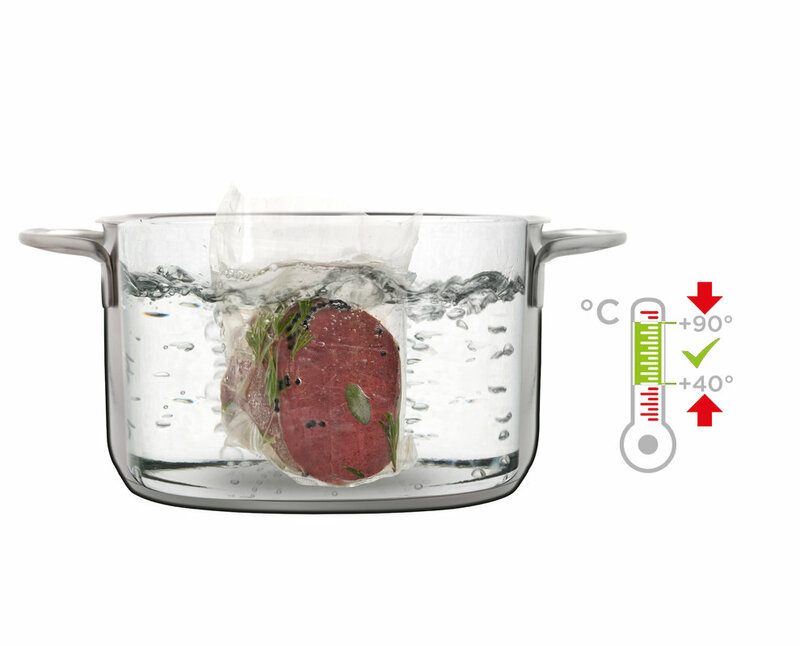 Cook at home like the professionals, discover Sous Vide cooking and don’t miss the starred recipe videos made together with the 2-star Michelin restaurant LA PECA. 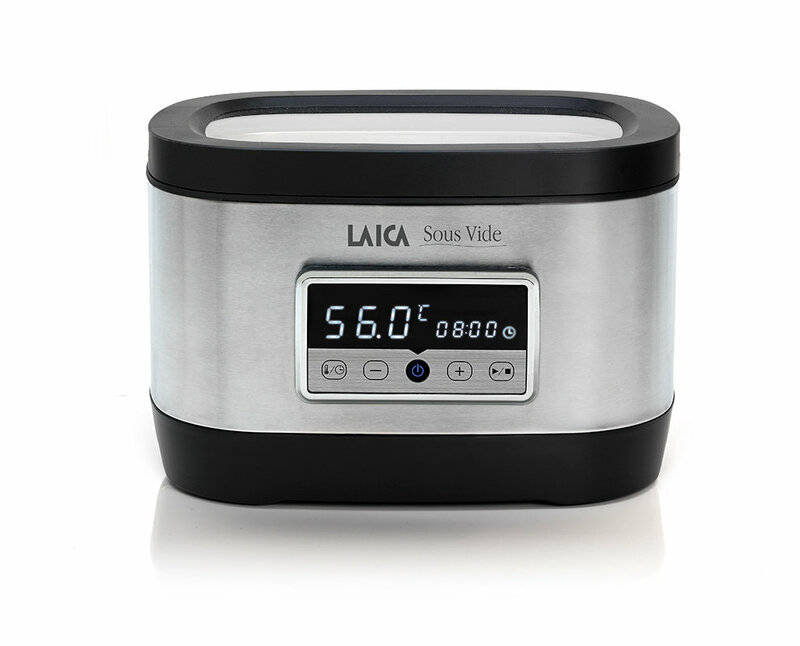 Consult the table for Sous Vide indicative cooking times and temperatures. You will also find the most common questions and answers.